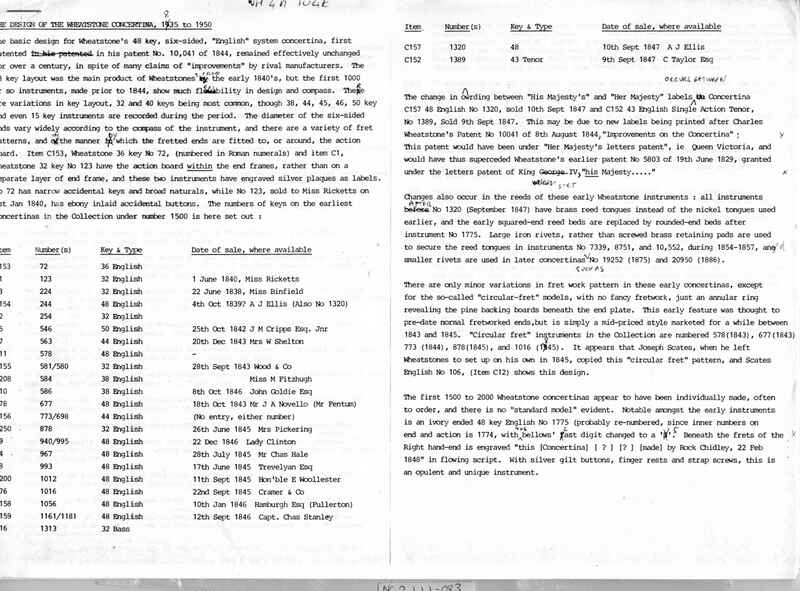 Full Description: Minting Correspondence: Neil Wayne. 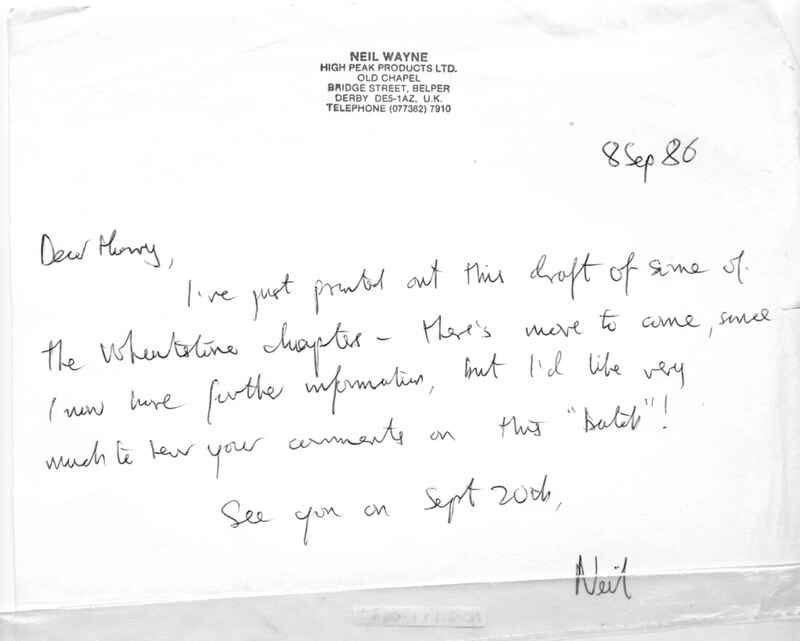 A letter to Harry dated 8th Sep 1986 accompanying Wayne's draft chapters on Wheatstone concertina history for Harry's comments. The Notes are also attached, and eventually formed the basis for Wayne's 1991 Article in The Galpin Society Journal 44 (1991), 117-149, which appears on line at: http://www.free-reed.co.uk/galpin/g1.htm .